There are plentiful of Top Attractions and Historical Venues placed outside of Copenhagen plus some World Heritage Sites that are visited by millions of tourists and travellers every year - where they can experience thousands of years of Danish Cultural Heritage. Kronborg Castle (Hamlets Castle) from 1574-1585 - built by King Frederik II - is a top-attraction outside of Copenhagen and listed on the UNESCO World Heritage Site. 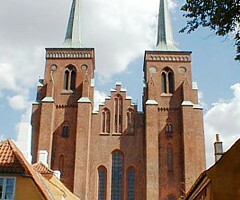 Roskilde Cathedral from 1170 - is a top-attraction outside of Copenhagen and the Royal Burial Plot since 1536 - and listed on the UNESCO World Heritage Site. The Hermitage Palace and unique "Par Force" hunting landscape around the Eremitage Woodlands is listed on the prestigious UNESCO World Heritage sites. 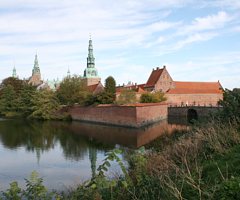 Frederiksborg Castle from 1600 - is a top-attraction outside of Copenhagen. 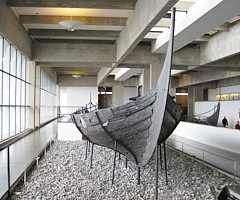 The Viking Ship Museum is a top-attraction outside of Copenhagen. 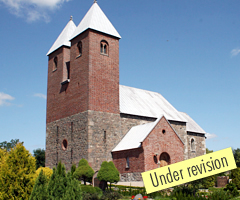 Fjenneslev Church from 1130 - is a top-attraction outside of Copenhagen. 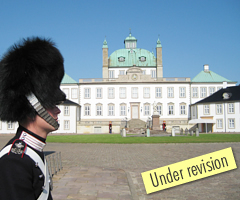 Fredensborg Palace from 1720-1726 - is a Top Attraction - and the summer residence of the Royal family. 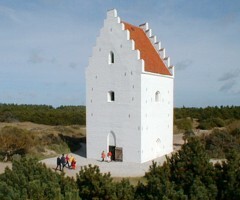 The sand covered church - build in the middle of the 14th century - and located in the enormous landscape of Skagen. 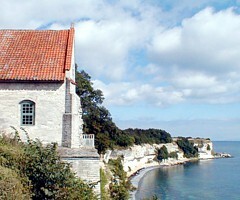 Stevns Klint (Stevns Cliff) - 65 million years old - and a Church on its way into the sea. A UNESCO World Heritage Site. Aarhus is the second largest city in Denmark - and a remarkable cultural pearl and artistic oasis in Jutland. 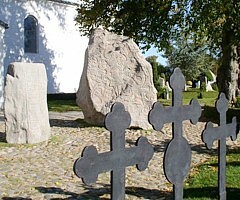 The Jelling Runic Stones - located in the eastern part of Jutland - is recognised as a National Symbol - and the Danish Kingdom's Birth Certificate - indicating that King Harald Bluetooth had introduced Christianity to the Danes for over 1,000 years ago. A UNESCO World Heritage Site. 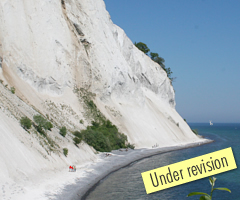 Breath-taking and astonishing Møns Klint (Moens Cliff) - is Denmark’s highest cliff that stretches over an area - which is more than 6 km long - and faces the Baltic Sea. The Cliffs of Moen is a very popular tourist venue on the southern part of Sealand - and on the isle of Møn reaches almost 130 m. above sea level. 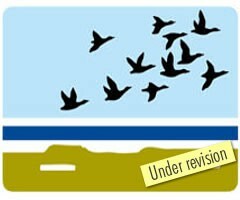 The Wadden Sea (Vadehavet) with its fauna - flora and thousands of breeding birds - and hundreds of thousands of waders (shorebirds) - ducks and geese that use the large areas as a migration stopover or wintering site. 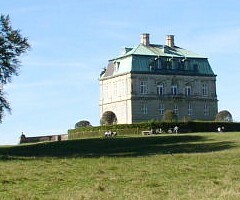 A UNESCO World Heritage Site and a National Park in Denmark. 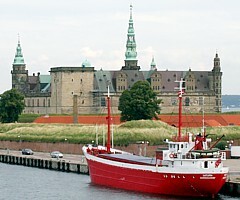 This presentation of Top-Attractions - Historical Castles and World Heritage sites - beyond the city of Copenhagen - is just an appetizer and a source of inspiration for touring with us to explore genuine Danish Cultural Heritage - as well as other interesting places from the past in and around Denmark.